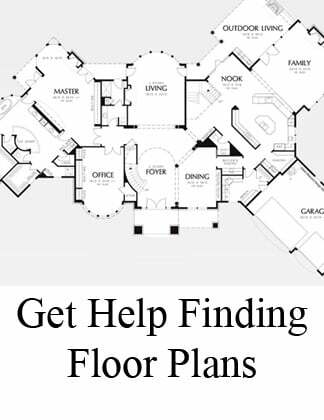 Can a floor plan be too open? Open floor plan concepts - should there be a wall between the kitchen and living room? "We were wondering if we should keep a wall up or take it down so that the living room and kitchen are completely open." Thank you for your question regarding your dilemma of whether or n ot to keep a wall in between your kitchen and living room. That is a good question because there is not a hard and fast rule to this design question. Yikes! That's a lot to think about--no wonder you asked the question! 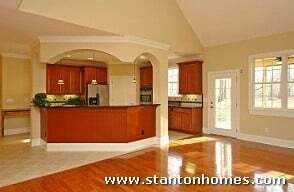 We have worked on countless floor plans here at Stanton Homes and sometimes we are taking walls down but sometimes we add them back in. 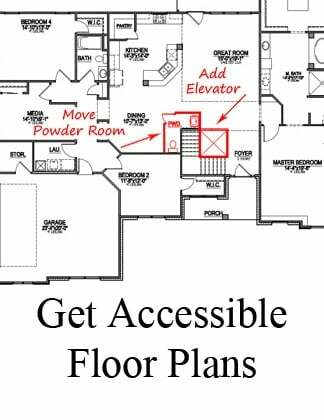 In very large floorplans, you can get away with not having walls in between rooms as there exists plenty of space to create natural separations and walk ways/traffic flow patterns from room to room that are "understood" but not necessarily physically there. Ironically, when spaces become smaller and you would automatically think that you can make them look larger by tearing down walls--you may want to consider your furniture placement needs before you do that and ultimately keep the wall. 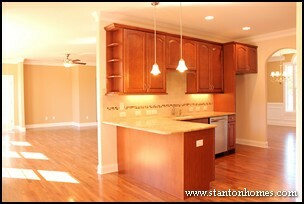 (The image to the left is an example of a wall between the kitchen and family room in a home just over 2,000sq ft). If you have a wall, then you can go ahead and back a piece of furniture up to it without issue. However, in the absence of a wall when the space is limited, you may not feel that you can place the backs of your living room chairs for example, that close to the dining area of the kitchen as it will look like they are crowding each other. However, in that same scenario and square footage, with a wall in between the two, you can have furniture against the wall on both sides if you have to, and in either room it will look fine. So, what if space and furniture placement are worked out? Do you then automatically take down the wall? In new construction this is what we would do nine times out of ten because we have the opportunity to plan the two spaces to harmonize and coordinate with each other. We have an ultimate plan for everything to flow well together. In a renovation, if you are not planning to re-do both rooms, you may be disappointed with taking the wall down and it may lead to yet another renovation in order to properly coordinate the two spaces. 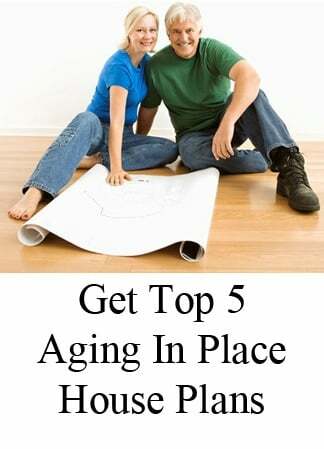 If it is in your budget to cover all of these considerations, then your floor plan will tend look newer and more up to date if you take the wall down. The idea of transitional home plans with common area rooms open to one another is to firstly, reinforce the modern family as a group that functions together as a unit (as in, everyone is in the kitchen and working together--although, in my home they are indeed all in the kitchen but they would rather just keep me company and inquire as to what time we will be eating for dinner rather than actually doing anything--but its the encouragement that counts!) and secondly, to create spaces that are designed to serve more than one function. If you have your kitchen coordinated with your living room or great room and they are open to one another, then you will have more room for things such as family or school projects, as well as having more room to entertain the entire soccer team after they win the big game, or as I often hear our clients say: "This is a great space for a Superbowl party! "....followed by a brand new dilemma: what size flat screen TV is best? Hope this helps you decide--good luck with your project!" Which Should You Buy, Gas or Electric? Whether you are building a new home or upgrading your current kitchen, you may be debating the pros and cons of a gas cooktop versus an electric cooktop. There are several factors that could impact your decision, including cost, convenience, and visual appeal. Below are some of the advantages and disadvantages to gas and electric cooktops. 1. Professional work area: Gas cooktops are used by professional chefs, for their instant heat, greater precision, flexibility, and ease of use. 2. 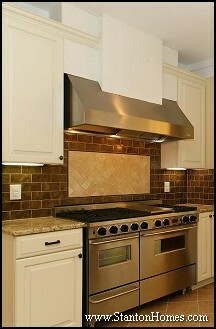 Visual appeal: More gas cooktops use an overhead ventilation system that can be more visually appealing. 1. 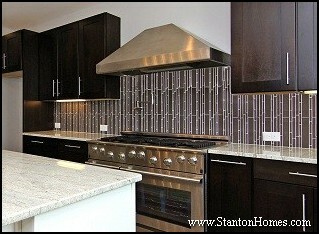 Initial Costs: Depending on the size, style, and complexity of your cooktop, a gas range is could cost more up-front. Future energy savings may help even out the cost, depending on the home and location. 2. Need for a fuel supply and fuel line: You will need to maintain a supply of natural gas or propane, which can be stored in a tank on-site. 3. Strict regulations: You may not be able to add a new gas cooktop to your existing kitchen without major revisions. If you are building a new home, talk with your builder about specific restrictions that could apply. 1. Initial cost: Electric cooktops generally cost less up-front than gas cooktops. 2. Convenience: Flat electric cooktops are easy to install and easy to clean. There is no need of an additional fuel source. 3. No open flame: To some, the open flame on a gas cooktop could be considered unsafe. 2. Heat ranges: Electric cooktops generally have a shorter range of temperatures, and cannot get as hot as gas cooktops. If you are building a new custom home in the Raleigh area, make sure to talk with your builder about kitchen design selections. At Stanton Homes, our Andrea Enns is an on staff design expert, offering professional design selection services to custom home clients as part of Stanton Homes' exclusive custom home packages. Ask Andrea your questions about custom home selections, designs, and styles. If you are having trouble deciding between a gas and electric cooktop, ask Andrea! Will these kitchen trends fade away, or are they important and practical features that will make an already attractive new home even better in the years to come? Take a look through these top trends, and decide what your new home can’t live without. As households are scaled back to more affordable designs, an emphasis has been placed on conve nient storage solutions. Say goodbye to clutter on your counters. With just a small extension of the existing space, underneath the serving bar, eating bar area, or island can become an important storage center. 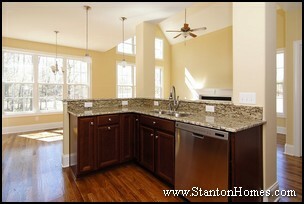 Larger kitchens demand an oversized island. Oversized islands offer extra cabinetry for storage, and can be designed in a variety of ways. Accents like display shelves, corbels, and "furniture" posts can be added. A built in seating area near the kitchen can maximize space and storage. Built in seats are flush against the wall, and can be placed under windows for a fresh and open feel. Banquettes can range in size, and storage can be built into the bench areas. Want a way to make your kitchen look unique and eye-catching? 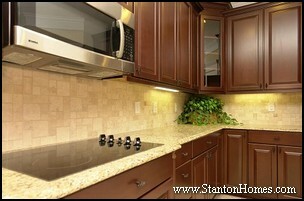 Multiple finishes and styles of cabinetry make your Kitchen stand out with contrasting features and colors. Contrasting pieces can be used for decorative range hoods, islands, even eating bar areas. 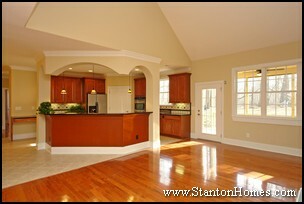 The integration of kitchens with family living space (also called "Great Rooms") is another growing trend. 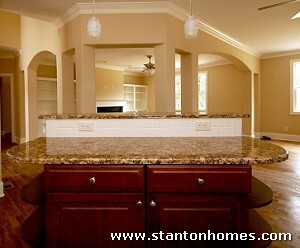 Home spaces are becoming more casual, and being able to interact with your guests while preparing a meal is a must. A half wall with an eating or serving bar is the perfect solution. 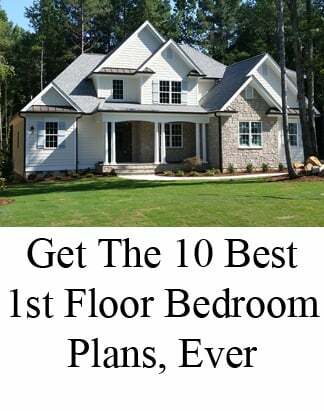 You may also be interested in these other Raleigh new home articles - top tips straight from Raleigh's most exceptional new home builder, Stanton Homes. Formal Dining Rooms - Disappearing, or Here to Stay? 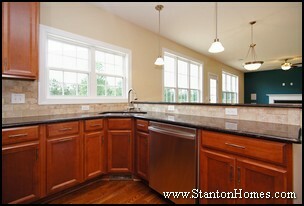 Designing your new kitchen cabinet layout can involve more decision making than meets the eye. When a professional designer works with you to determine your ideal layout, one of most important everyday usage items you’ll discuss is what goes on inside your cabinets. Here are five of the most popular base cabinet storage options, selected in our new NC custom homes. A pull-out garbage/recycle center makes sorting and saving so easy. The emphasis is on durability and usability, with a sturdy pull-out recycling center that has plenty of support. The model pictured above features a natural maple frame, with full access glides. Hardy plastic trash bins are easily removed for emptying and cleaning. This pull-out Base Pot and Pan Organizer makes it easy to keep pans and lids organized. It takes the effort out of getting down to see what’s at the back of the cabinet, with a big pull-out drawer that lets you reach and see everything inside! The most popular width for the base pot and pan organizer is 36", but the organizer is also available in 24", 30", and 33" widths. Trays, cookie sheets and cutting boards all fit into slots designed to make them easy to find in this roll-out tray divider. The Roll-Out Tray Divider keeps everything organized, and it extends for ease-of-use. The Tray Divider is available in 12" and 15" widths, making this a versatile option. A 9" version without the drawer is also available, for tight areas with small cabinets. It also includes a tray divider. A Plastic Bag Storage Unit keeps plastic bags in one place, so they’re right-at-hand for reuse. Plastic bags are a snap to grab from this solid wood storage unit. The plastic lined upper tray is perfect for sponges and other kitchen clean-up items. Lazy Susan’s remain one of the most popular requests for base cabinets. These spin units can be constructed from wood, metal or plastic, and are usually 28" or 32" in diameter. 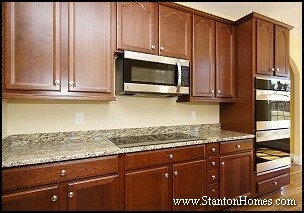 Your cabinets will be one of your most important decisions when you build your new home. Your kitchen designer will show you what it would take to add an island, eating bar, or other feature that can add more usable space – and more places to put cabinets! 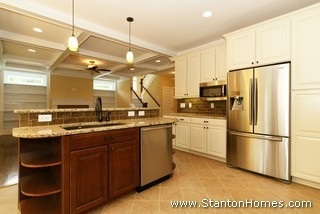 Check back for other kitchen ideas!